By Allen Fox: IBO cruiserweight champion Antonio Tarver (29-6, 20 KO’s) is reportedly interested in seeing the November 4th fight between Denis Lebedev and James Toney in Moscow, Russia. Tarver is so interested in seeing this fight that he’s traveling all the way to Moscow, Russia to watch it. 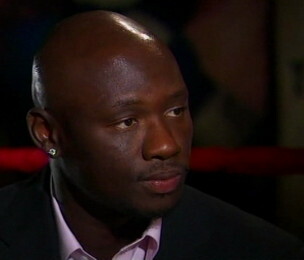 You can imagine that the 42-year-old Tarver is interested in facing the winner of the fight whoever that may be. Besides facing the winner of this fight, Tarver also is being considered as an opponent for IBF/WBA/WBO heavyweight champion Wladimir Klitschko for a fight next year in the United States. The one risky thing about Tarver facing the Lebedev vs. Toney winner is that if Tarver gets beaten it’s doubtful that Wladimir will want to waste his time fighting him. It’s bad enough that Wladimir is dipping down to the cruiserweight division to find opponents, but he’ll probably have to draw the line at facing cruiserweights that are coming off of a loss. Wladimir will take too much criticism if he does that. Tarver got an important win in his last fight last July when he stopped Danny Green in the 9th round. It was a good win for Tarver, who came into that fight having lost two out of his last three fights. The win was a badly needed one for Tarver. It’s fair to say that Tarver won’t stand a chance against Wladimir because of his age, lack of power and lack of size. However, against Toney and Lebedev, Tarver has a real chance of winning if he can get the fight.